March 17th is not just a day of celebration to commemorate a well-known patron saint, but it’s also a day of mourning for many families. 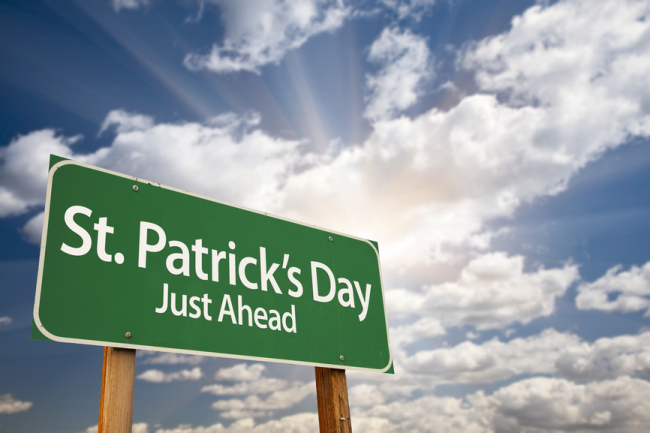 According to the National Highway Traffic Safety Commission, drunk driving contributed to more than 40 percent of traffic fatalities during St Patrick’s Day weekend in 2013. Whether you’re planning to attend a religious service or grab a few drinks with friends, it’s important to take extra precautions to stay safe on St Patrick’s Day. For those who don’t know, St Patrick’s Day is a cultural and religious holiday that celebrates the life of Saint Patrick (AD 385-461), an evangelistic priest recognized for bringing Christianity to Ireland. Also called the Feast of Saint Patrick, this day is also a celebration of Irish culture and traditionally involves parades, festivals, and great feasts. In the US and other parts of the world, St Patrick’s Day is commonly associated with wearing green and or shamrocks as well as excessive drinking. When you’ve had too much to drink and it’s not safe to drive, many cities offer designated driver services to get you and your car home safely. These programs were created in an effort to promote safe driving and reduce the number of accidents involving drunk driving. Depending on the transportation company, some of these services are free while others may charge fees. If you live within the vicinity of Dallas, BeMyDD provides affordable and reliable transportation services to keep you safe on St Patrick’s Day. When you hire a personal driver, your chauffeur will operate your vehicle for you, wait in the car while you’re celebrating, and then drop you off safely at home. Additionally, BeMyDD allows you to schedule a specific pickup time to take you and your car home for those unexpected times when you need a driver.